The Justice Department on Monday appointed a U.S. attorney to oversee the gathering of documents in response to a subpoena issued by the House Judiciary Committee last month in an effort to obtain materials related to the FBI’s probe into Hillary Clinton’s private email server and potential Foreign Intelligence Surveillance Act abuses. 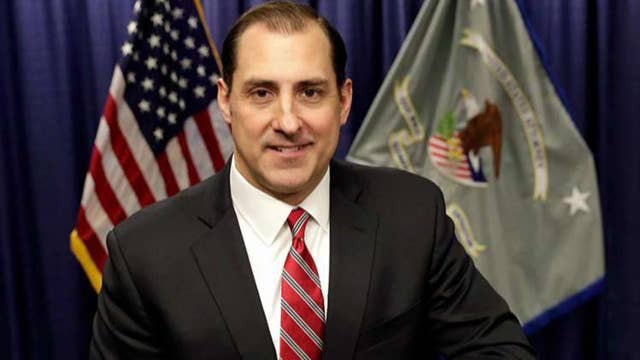 The Justice Department is set to announce the appointment of U.S. Attorney for the Northern District of Illinois John Lausch, a Trump appointee, to oversee the agency’s compliance with the subpoena, after it missed the initial deadline given by the committee to turn over requested documents. The move comes just days after President Trump blasted the Justice Department and the FBI for “slow walking” the requested documents. “The attorney general and FBI director understand the concerns of members of Congress and the president about the pace of production and level of redactions in the documents already received by the committee. They agree with that the Department and the FBI should accommodate the committee’s request in a timely fashion and in the fullest manner consistent with the department’s law enforcement and national security responsibilities,” Justice Department spokeswoman Sarah Isgur Flores said in a statement to Fox News. “Over the weekend, the attorney general and FBI director asked U.S. Attorney John Lausch from the Northern District of Illinois to oversee this production moving forward. Mr. Lausch, who has experience in the department and in private practice, will ensure that production moves at an acceptable pace and that any redactions are necessary and consistent under the relevant laws and regulations,” Flores said, noting Lausch will have “independent authority” to oversee the production and report progress to Attorney General Jeff Sessions. There have been mounting calls from lawmakers on Capitol Hill for answers as to how the redaction process works, as well as complaints with the speed of document production. Last week, Senate Homeland Security and Governmental Affairs Chairman Ron Johnson, R-Wis., penned a letter to Sessions complaining about the redactions in text messages turned over by the Justice Department to his committee between FBI officials Peter Strzok and Lisa Page. Johnson noted that only in “media reports,” did the committee learn what information was redacted. An aide to Johnson told Fox News last week that the information behind the redactions—regarding the relationship of Strzok and Foreign Intelligence Surveillance Court (FISC) Judge Rudolph Contreras -- was “pertinent” to the committee’s investigation. In terms of the speed of document production, last week Sessions and FBI Director Christopher Wray doubled the number of people working on the requests from the House Judiciary Committee. The committee requested documents already reviewed by Justice Department Inspector General Michael Horowitz, related to the FBI’s investigation into Hillary Clinton’s private email server. The Justice Department told Fox News that there are 54 FBI staff working each day in two shifts, from 8 a.m. to midnight, to produce the material. The Justice Department told Fox News that the FBI on Monday will produce 3,600 pages of additional material requested by the House Judiciary Committee. There is a separate request from the House Permanent Select Committee on Intelligence Chairman Devin Nunes, R-Calif., asking for access to FISA warrants, which was answered, and agreed to by the Justice Department. Nunes also asked to review the fully unredacted document that was used to formally begin the federal investigation into alleged collusion between Russia and the Trump campaign. A Justice Department official told Fox News that the initial request to review the document was complied with, but that the remaining redactions remain in the document which pertain to the identity of a foreign nation. The Justice Department has not yet answered that component of Nunes’ request.